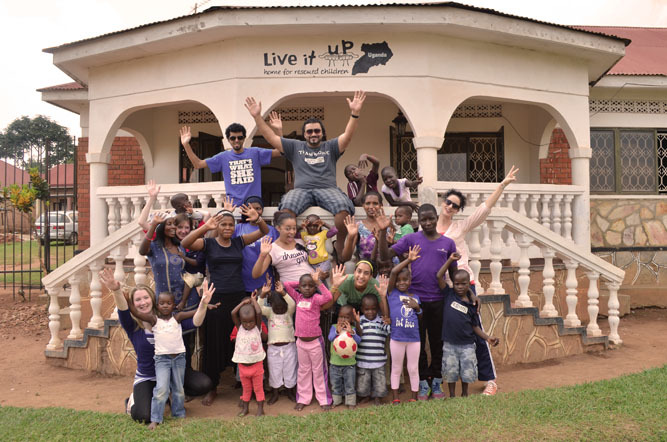 Founded Live it up Uganda, home for rescued children which currently houses 26 orphaned and abandoned children. This home is entirely funded by Live it up Foundation and all expenses are covered by the organization. Funded the construction of one building at Al Zamam School “which was named Al Salam hall” in collaboration with Al Rahma Charities in order to expand the dorm capacity for boarding students as well as to increase classroom numbers to accommodate the increasing number of students enrolled many of whom are orphaned and abandoned children. Funded the refurbishment of latrines, classrooms and playing area at the Hidaya Islamic Primary School located in the slums of Kampala which has 205 students of which 135 are orphaned children between the ages of 4 up to 10 years.